Our team have over 25 years experience working in commercial pest control in and around Brisbane. In offices, factories, schools, department stores, apartment blocks and warehouses throughout this great city and the surrounding areas of SEQ. Our dedicated team of technicians can offer you a complete solution to suit your specific requirements, no matter what the type of structure you have that needs protecting. Not only are all of our pest controllers experts in the field, our years of experience and training gives us the ability to pick up potential future issues before they become a nightmare. 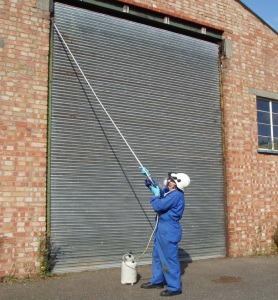 Preventative programme’s are an important aspect of Commercial Pest Control. We at Pest Control North Brisbane have extensive experience and knowledge in implementing and providing advice on preventative measures for any work place. All of our technicians are fully insured, qualified and certified to service your commercial operation and offer advice on DIY preventative maintenance. Should you work in an industry where recurring pest problems are common, we offer regular maintenance packages as well. While the majority of our clientele are based on the Northside of Brisbane, we have a host of commercial clients in other areas around the South-East Queensland region and even as far south as Northern New South Wales. Because of our competitive pricing and focus on customer service and satisfaction, many of our business customers demand we remain their pest control service provider even after they move away from the beautiful suburbs of the North Side. Each and every commercial job offers a new challenge. With many commercial properties, there can be a number of problems that need to be overcome to effectively treat or protect every section of a venue. Because all of our technicians have extensive training and experience in the industry, we are always able to come up with the best solution to effectively protect your work place against vermin or other intruders, saving you both time and money. We understand the importance of Occupational Health and Safety from a pest perspective, and we can advise you how best to protect your team. 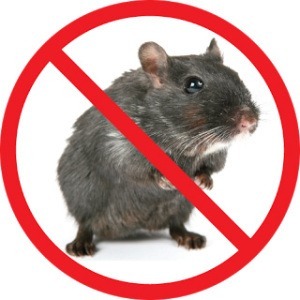 Pest Control in a commercial setting generally offers many more variables than with residential pest control due to the wide range of buildings, and constraints that come into play. Some kitchens for example, are unable to be treated with some of the same chemicals that are allowed in factories and warehouses etc. This wide range of variables regularly takes us into the unknown, but because we love our work we’re always excited to take on new jobs in challenging environments. Our decades of combined years of experience and training also gives us an advantage with commercial work over other contractors who have not been in the industry for as long. While each job is different, there are a number of common problems within commercial applications that we come across on a regular basis. Rat and mice infestations are commonplace in and around businesses that work or store foodstuffs. Plagues of cockroaches and silverfish can often be found in and around commercial kitchens and areas that are regularly damp. Possums and rats living in ceilings of commercial buildings are often noisy and can be unhygienic. Ants regularly cause problems both inside and outside of commercial buildings, and need to be safely removed or eradicated. Termite infestations in stored goods such as cardboard boxes, timber pellets and even office paperwork are not uncommon. Did you know that spider webs are considered a health hazard for asthmatics? Get Your Workplace Checked Today! If you are having pest problems at your place or work, why not give us a call today to find out how we can help? Don’t wait until the mice are eating away at all the food in your storeroom or those cockroaches eggs hatch with their plethora of offspring ready take over your work space! Not only will our experienced pest controllers attend to your immediate issue, they will also take a look around your business or workplace to ensure there are no other issues that may disrupt your ability to work in a safe environment in the future. If you require help with removing or eradicating vermin, insects or other pests, or even if you just want someone to drop by and do some preventative maintenance to stop future infestations, give us a call on 1300 442 978 or click here to go back and fill out our interactive contact form at the top of our homepage.